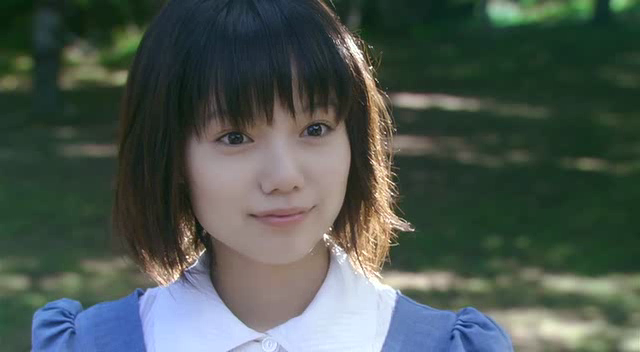 So, last night with dorama_watch, I watched the jmovie, Heavenly Forest (Tada, Kimi wo Aishiteru). Tamaki Hiroshi is in it, and I was promised a cute sweet love story, so I was down with that and jumped on aboard! I will warn you that if you watch it, YOU NEED TO BRACE YOURSELF AT THE 75% MARK. You should see what's going on by then and probably can figure it out yourselves, but up until then, it was exactly what is said on the box - adorable love story between Tamaki Hiroshi and a cute little bed headed spaz. ...and no, her name isn't Nodame. Really, though, how am I supposed to resist this man? Anyway, I capped this scene because 1) it was a cute set up of a kiss. She asked him to kiss her for a picture for a competition. her theme was "lovers," and 2) i was honestly expecting to cap it and post it over at drama_hunt (which is an AWESOMELY fun new comm that anenko is heading up for posting picspams of various cliches in dramas - SO FUN!) for the "awkward kiss" tag. The tag that is used when two lifeless pairs of lips are touching, but no one seems to be enjoying makeout city. it's not the hottest kiss in history, but it is, in face, a DECENT KISS. 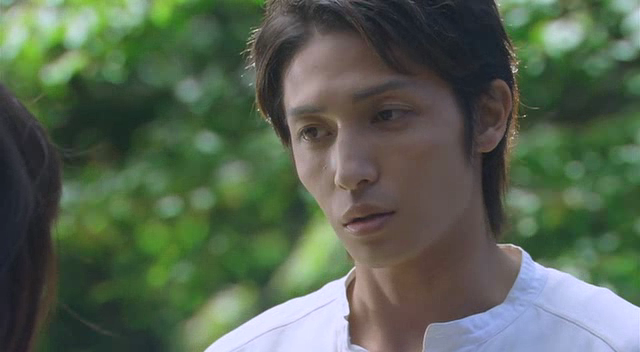 by jdrama standards, it's downright OBSCENE. Shizuru and Makoto are friends, although Shizuru is totally in love with Makoto and has been for about 2 years. He likes photography, and taught her how to use a camera and develop the film. Shizuru asks if he'll help her with her project for the competition. Her theme is "lovers," and she'd like to take a picture of him kissing her. ...this all sounds very contrived, but it really doesnt come off that way. It's very straightforward and very sweet. Anyway. 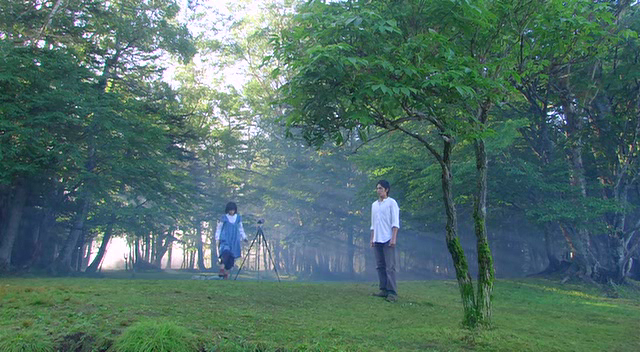 They meet in their forest, and Shizuru has the camera set up. 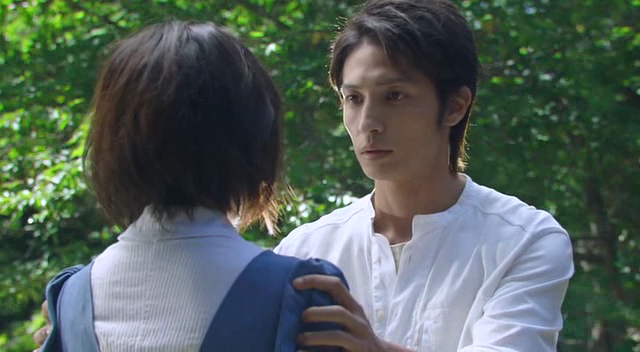 Makoto is very nervous and twitchy. It's adorable. Ah! Wait! She wants to take off her glasses. He finally notices she's completely cute. Ok. Second try. He is so not smooth here, and he's kind of..clutching her shoulders, instead of holding her. They draw back, hesitate a moment, then draw back in. Slow and lovely. Hands get softer, they pull each other closer. His arms go around her, her hands go around his waist. THERE IS LIP MOMENT. MAN IT'S LIKE THEY ACTUALLY MIGHT WANT TO TOUCH EACH OTHER. HOW WEIRD IS THAT, JAPAN? Aww so sweet. One of my first jmovies. Somebody should've definitely told me to brace myself before watching it though D:. All I heard was "sweet!" and "cute!" and "TAMAKI HIROSHI!" So YES I WOULD HAVE LIKED SOME WARNING. 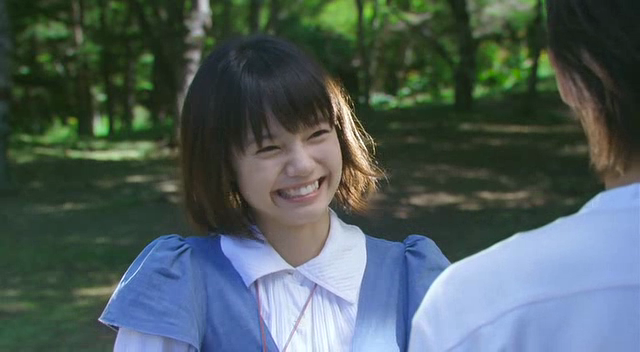 that said, the first 3/4ths was absolutely ADORABLE. Oh... PRETTY. I loved that kiss SO MUCH. Beautiful post! 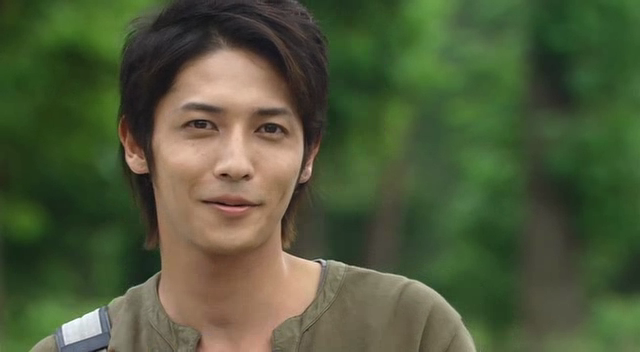 in my own case, im fairly certain that Tamaki Hiroshi makes just about ANYTHING look good, except for the fact Ive seen his hair in other dramas, and it can get downright scary. Okay, spoil me: does someone get cancer and die? I'm always leery of things with "snow" and "sonata" and "heavenly" in the title, usually someone dies. Well, there's no cancer, no. OTHER THEN THAT, I PROMISE NOTHING. ESPECIALLY NOT ABOUT WHETHER THERE ARE ANY STRANGE UNEXPLAINED MEDICAL CONDITIONS. also, i am also done with ep 2 of ToGetHer, and i WILL NOT BE ABLE TO STOP MYSELF from posting about it. i cant decide if im in AWE that they did this, or if I want to laugh at Jiro, or if im just horrified by the situation they put the poor boy in!